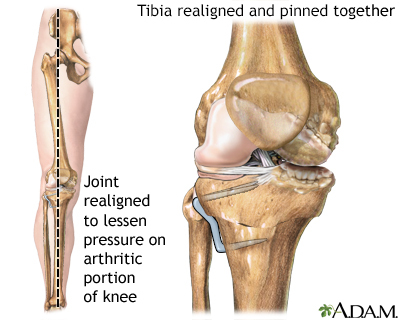 If osteoarthritis degenerates the inner portion of the knee, the leg may bow out. 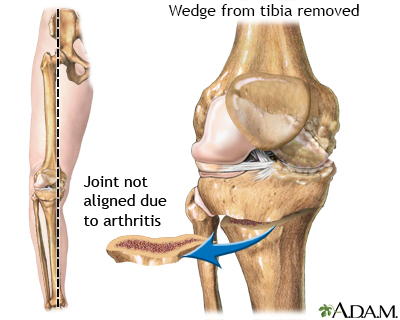 A wedge is removed from the tibia allowing the leg to be shifted slightly, which takes weight off the inside of the knee. Screws or staples are used to hold the bone in place. 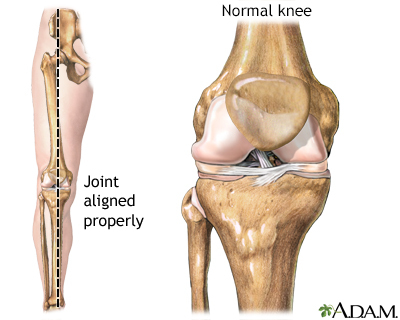 The result is a slightly "knock kneed" appearance which allows the healthier outer knee to bear most of the weight.